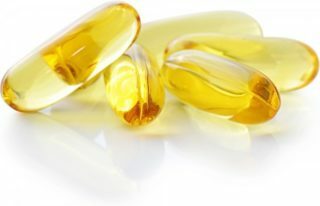 Avanti is experienced in performing analyses to support the label claims for lipid based nutraceuticals such as krill oil, fish oil, phospholipid enriched supplements, and many others. We primarily use Quantitative 31P NMR, GC-FAME, and LC/MS based methods in confirming customer’s label claims. We can provide release testing to determine the lipid concentration in your final product, or stability testing to confirm that your label claims apply even after storage. Quantitative 31P NMR is an Avanti specialty. We use proprietary methods to confirm the label content for phospholipid containing nutraceutical supplements. Supplements enriched with phosphatidylserine (PS), phosphatidylcholine (PC), or other phospholipids will be dissolved to provide you with mg/capsule results. We can also test the phospholipid content of your lipid raw material prior to formulation or packaging, confirming your raw material and final product quality throughout the manufacturing process. Quantitative 31P NMR can also be used to monitor the stability of the phospholipids in your nutraceutical supplement. Decreases in phospholipid content, along with increases lyso-phospholipid content can be monitored with the same method that was used to initially confirm your phospholipid content.